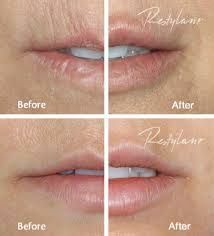 With over 30 million treatments worldwide and counting, the Restylane line of hyaluronic acid fillers provides natural-looking results by smoothing away facial wrinkles and folds (Restylane, Restylane Lyft, Restylane Refyne, Restylane Defyne), providing subtle lip enhancement and smoothing the lines around them (Restylane Silk), and adding lift and volume to the cheeks (Restylane Lyft). Our latest addition to the family — Restylane Refyne and Restylane Defyne — is designed with next-generation technology to help provide natural-looking results with flexibility that helps maintain natural expression in motion. 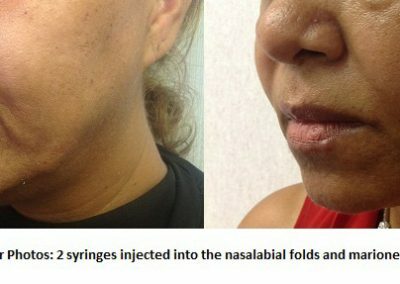 With over 30 million treatments worldwide and counting,1 the Restylane line of hyaluronic acid fillers provides natural-looking results by smoothing away facial wrinkles and folds (Restylane,4 Restylane Lyft,5 Restylane Refyne,2 Restylane Defyne3), providing subtle lip enhancement and smoothing the lines around them (Restylane Silk6), and adding lift and volume to the cheeks (Restylane Lyft5). 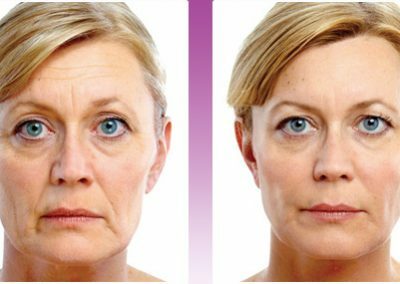 The good news is that you can do something about the signs of facial aging with a product in the Restylane family — to help reveal a younger-looking you. That means you get minimally invasive, clinically proven, natural-looking results to help achieve the look you want. Talk to your healthcare provider today to determine if the Restylane family of products is right for you. Ingestion of alcoholic beverages prior to treatment can increase the chances of bruising and/or swelling. No anti-inflammatory drugs (Ibuprofen, Motrin, Advil, Aleve, Vioxx, etc. ), aspirin, Vitamin E, or Ginko Biloba one week prior to treatment. This will reduce the possible side effects of bruising and/or swelling in area(s) of treatment. You cannot be pregnant or breastfeeding to receive treatment. You cannot be allergic to eggs or egg products to receive treatment. Facial exercises (squint/frown/smile) are strongly recommended in the treated area for one hour after injection. Avoid manipulation of treated area for a minimum of four hours. By following the above measures you will minimize the occurrence of ptosis (droopy eyelids), bruising, and less than optimal outcomes. Common side effects include a slight headache lasting a few hours up to 48 hours, and temporary bruising and/or swelling. Treatment effect will take 2 to 10 days. Benefits of treatment may last 3 to 6 months; the average is 4 months. Please inform the office if the resolution of the lines has not taken effect in 10 days. Additional unit of BOTOX®® Cosmetic may be necessary to achieve desired result. Follow up treatments should be scheduled prior to return of full movement of muscle, usually at three months. 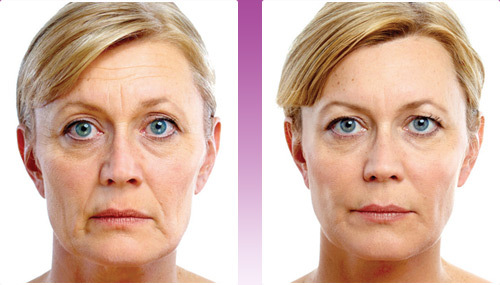 Consistent repeated treatments will produce the best resolution of wrinkles.